Episode 31 - Diorama Comp!! 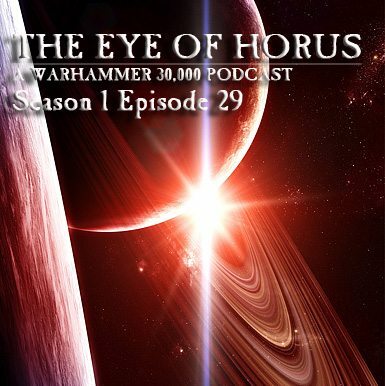 Our last episode of the eye of Horus was all about us, this weeks episode is all about you guys! This week we announce our first special competition with some fantastic prizes and we dig through or huge mail sack to answer listener questions and waac some fluff! so listen in and get those creative juices flowing. As always we finish off with a whole swathe of 30k event and check in on the raging battle for Kug'Arkal in our global heresy campaign. 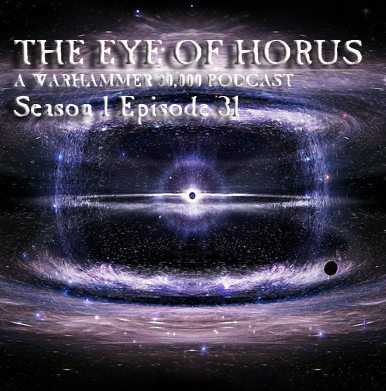 So sit back and relax and enjoy this latest installment of the Eye of Horus! Part I - Intro and Diorama Comp talk! Episode 30 - This Episode's Fat as Perturabo's Tummy! 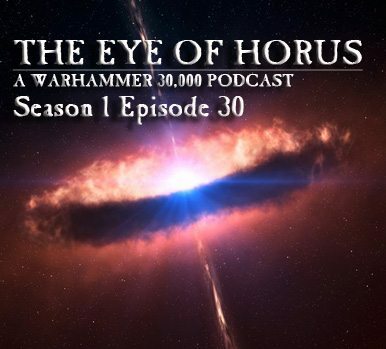 After recording in three separate chunks, we've got a Warlord sized show for you this week, you should be able to finish painting an entire Zone Mortalis army before this episode ends! Check out the action from the Cardiff crusade here! Our good friend Cecil is in the studio for this jam-packed episode, and in the first segment we cover news, rumours, dig around in the mailbag and waac some fluff. In the second part Michael interviews Matt Kane and Andy Wardle from MK Painting, and in the third part Cecil and I talk about how we went in the Horus Invitational 30k event up in Townsville last weekend, using our 2000pt Iron Warriors and Mechanicum forces! The first two musical breaks are by Wardruna off the album Yggdrasil, and the third is Rumours of War by High On Fire. Don't miss a once in a life time chance to take your painting to the next level! Follow this link over to find out more about painting master classes with Matt Kane and Andy Wardle on their FB page. Second Legion Warhammer 30,000 event.